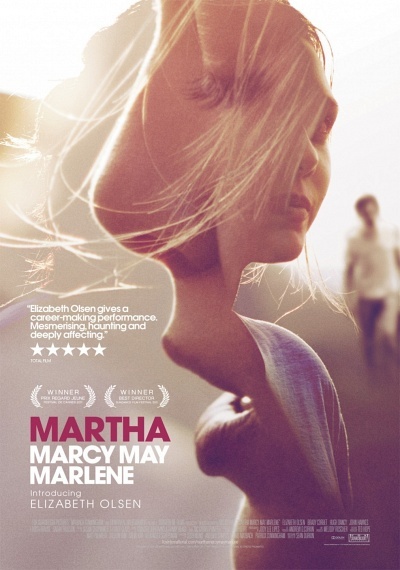 Martha Marcy May Marlene :: Movie Information :: RabbitTV GO! In her stunning feature film debut, Elizabeth Olsen delivers an electrifying, star-is-born performance in this gripping psychological thriller that is far and away one of the year's best! After escaping from a dangerous cult and the watchful eye of its charismatic leader (Academy Award® Nominee John Hawkes), a young woman named Martha (Olsen) tries to reclaim a normal life with her family. But the haunting memories from Martha's past trigger a chilling paranoia — and nowhere seems safe as the fragile line between her reality and delusions begin to blur.